General admission tickets are first come, first served. Reserved tables of 8, 9 or 10, reserved in advance will be seated together. We recommend general admission guests arrive early for best seating options. Scroll down to view our featured 2019 best-selling authors. Your actual ticket(s) may be picked up at Will Call beginning at 10:30 a.m. on May 10, 2019, at the Charleston Marriott's Crystal Ballroom entrance and will be in the name of the person who placed the order. ID may be required to retrieve your ticket(s). All sales are final. You have purchased General Admission tickets which are first come, first served seating. We suggest that you arrive early for the best seating options. Your actual ticket(s) may be picked up at Will Call beginning at 10:30 a.m. on May 10, 2019, November 9, 2018, at the Charleston Marriott's Crystal Ballroom entrance and will be in the name of the person who placed the order. ID may be required to retrieve your ticket(s). All sales are final. You have reserved a table of 8. Your actual ticket(s) may be picked up at Will Call beginning at 10:30 a.m. on May 10, 2019, at the Charleston Marriott's Crystal Ballroom entrance and will be in the name of the person who placed the order. ID may be required to retrieve your ticket(s). You have reserved a table of 9. Your actual ticket(s) may be picked up at Will Call beginning at 10:30 a.m. on May 10, 2019, at the Charleston Marriott's Crystal Ballroom entrance and will be in the name of the person who placed the order. ID may be required to retrieve your ticket(s). All sales are final. You have purchased a table of 10. Your reservations will be emailed to you at the address provided. The Post and Courier proudly presents the 27th Annual Spring Book & Author Luncheon, the Southeast's largest and most prestigious literary luncheon featuring five New York Times best-selling authors. Enjoy lunch while you meet and hear four New York Times Bestselling Authors along with luncheon co-host and emcee Author Dorothea Benton Frank. is a New York Times best-selling crime writer, forensic anthropologist and academic. She has published 21 adult novels, 20 of which form the Temperance Brennan series which was the basis for the TV series “Bones.” In addition, she co-authors the Virals young adult series with her son, Brendan Reichs. Her latest novel, Two Nights, is a stand-alone work featuring a tough-talking, scarred heroine named Sunday Night. published her first novel 50 years ago and has since become a New York Times best-selling author and Southern literature icon. Over the years she has published 12 more novels, four short story collections and a memoir. She has won a variety of prestigious awards, including the Southern Book Critics Circle Award for The Last Girls. 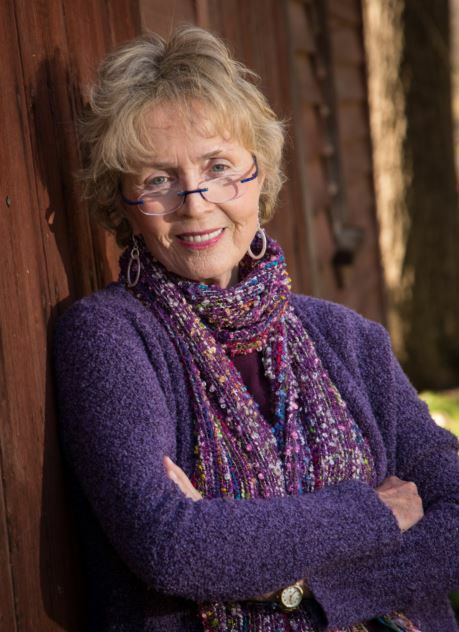 is the author of sixteen previous novels, including City of Secrets; West of Sunset; The Odds; Emily, Alone; Songs for the Missing; Wish You Were Here; A Prayer for the Dying; and Snow Angels. His novel Last Night at the Lobster was a national bestseller and a finalist for the Los Angeles Times Book Prize. He was born, raised, and lives in Pittsburgh. is the author of five novels, including the New York Times bestseller A Parchment of Leaves. He is a frequent contributor to the New York Times and a former commentator for NPR’s All Things Considered. House is a member of the Fellowship of Southern Writers and is the winner of the E. B. White Award, the Nautilus Award, the Appalachian Book of the Year, the Hobson Medal for Literature, and other honors.